Founding Gardeners was published on 3 February 2011 by William Heinemann in the UK (titled as Founding Gardeners. 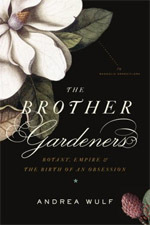 The Revolutionary Generation, Nature and the Shaping of the American Nation) and on 29 March 2011 by Knopf in the US (titled as Founding Gardeners. The Revolutionary Generation, Nature and the Shaping of the American Nation). The Founding Gardeners offers a fascinating look at the revolutionary generation from the unique and intimate perspective of their lives as gardeners, plantsmen and farmers. For the founding fathers, gardening, agriculture and botany were elemental passions, as deeply ingrained in their characters as their belief in liberty for the nation they were creating. 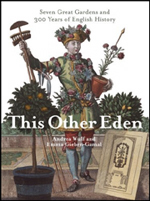 Andrea Wulf reveals for the first time this aspect of the revolutionary generation. She describes how, even as British ships gathered off Staten Island, George Washington wrote his estate manager about the garden at Mount Vernon; how a tour of English gardens renewed Thomas Jefferson's and John Adams's faith in their fledgling nation; how a trip to the great botanist John Bartram’s garden helped the delegates of the Constitutional Congress to break their deadlock; and why James Madison is the forgotten father of American environmentalism. Taken together, these and other stories are a revelation of a guiding, but previously overlooked ideology of the American Revolution. The Founding Gardeners adds depth and nuance to our understanding of the American experiment, and provides us with a portrait of the founding fathers as they've never been seen before.